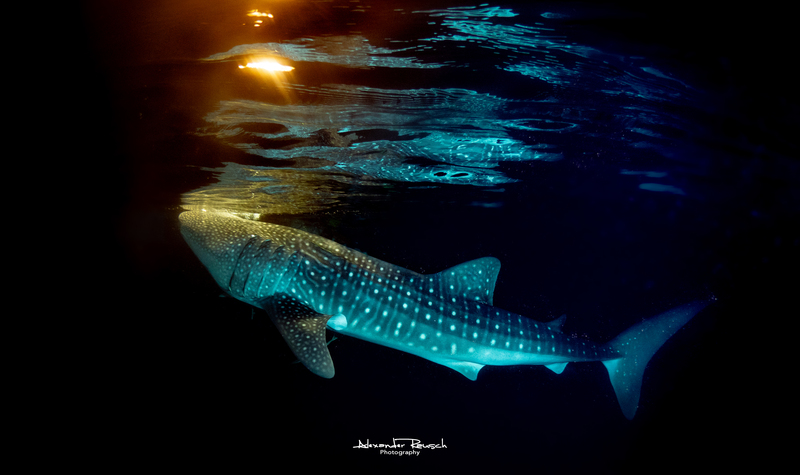 After testing the waters in 2018, the Maldives Whale Shark Research Programme will be looking to build on the knowledge of our inaugural expedition and are proud to announce the launch of WSX2019! We have just 18 spaces available – fancy joining us on board?! As with WSX2018, the goal of this years expedition is to venture further afield and see what marine wonders can be found in some of the less travelled areas of the Maldives. Though of course we’ll still hit up some of the big name dive sites if we happen to be sailing past them, after all they’re usually famous because they are awesome! Finding whale sharks in places we think or expect they may be is still the key driver, but it is not the sole purpose of this trip. We will also be monitoring and cataloging every species of megafauna we encounter and may well at times make decisions on where to go based on species outside of whale sharks. This is a direct result of seeing the benefit of the data we submitted from remote regions to fellow marine research organisations in 2018! Quite a lot actually! We felt last year that we didn’t have enough time in each location to give it the best chance of finding what can be elusive creatures. So first off for WSX2019, we’re extending the trip to 11 nights! We’ll also be altering the route, by adding some more flexibility. Actually a lot of flexibility. In fact, we’re going to decide on the day of departure from Male’ where we’re going. Why? Because we’ll be able to see weather conditions, hear reports of sightings, judge prevailing currents and basically bend all the up-to-date knowledge we can muster on deciding the best regions to see megafauna in the following 11 days. Then there’s the new vessel. 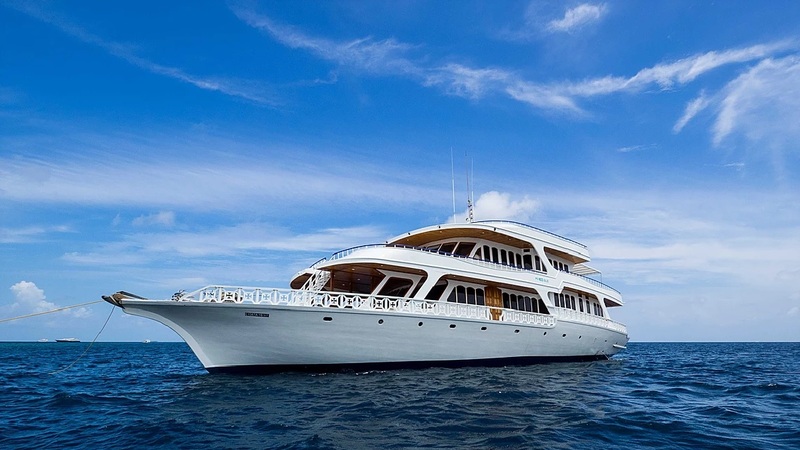 We’ll be venturing out this year on MV Eco Blue, under the guidance of EcoPro Divers Maldives. A 4*, 105ft floating slice of luxury dive platform. Alongside the MWSRP guides will be the actual Managing Director of EcoPro Divers Maldives, on board, in person and there from the moment of your booking to the point you say bon voyage at the end of your trip. We’re vested in you having the very best experience and are ensuring the most knowledgeable and guest focused people are there to make that happen! Finally, we’re also going to push this trip back five weeks later into the season, from 30th October to 10th November. Why? Well this is one variable we can control and in science, you keep changing and tweaking things until you achieve the effect you’re looking for! You will be invited to join in and assist in any of the research work planned. Our mission is to use our exciting new mobile platform to look for whale sharks, mantas, turtles, whales and dolphins, all other species of sharks as well as collecting data on environmental variables in some of the less well travelled regions of the country. 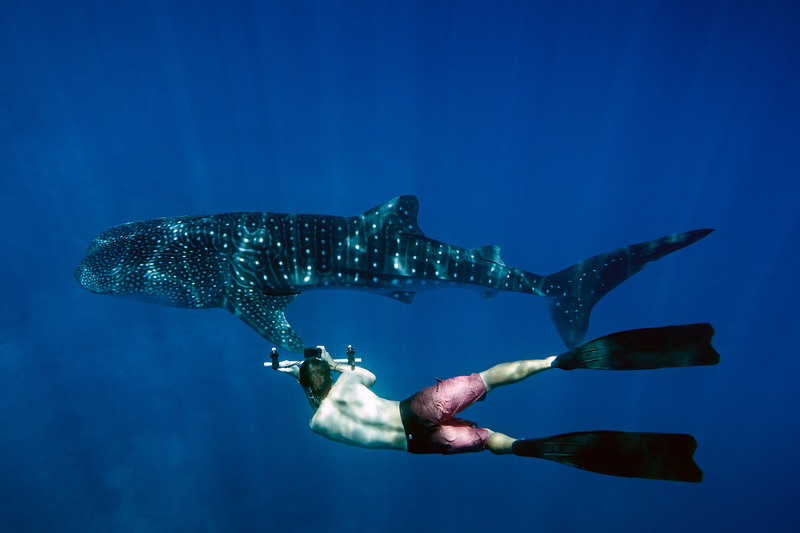 When discussing WSX2019 with the MD of EcoPro Divers Maldives, his mention of discovering where the long whispered ‘secret sites’ for whale sharks are was one of the big deciding factors for us MWSRP people! Apparently we were close but not quite right last year! They are little known and the boats don’t go there often as they are a bit out the way. We have since been provided with photo evidence of sharks we knew from South Ari hanging out in other areas new to our Big Fish Network, so we believe them! So one of the key goals of this trip is to go and have a look and hopefully confirm there are other areas these beautiful giants frequent! We’ll also be looking at seasonal shift in marine megafauna, particularly whale sharks and manta rays. 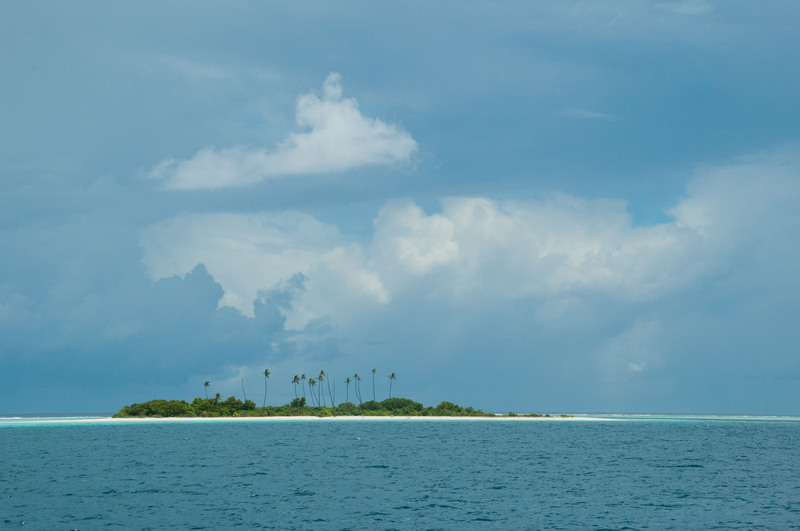 Each year megafauna shift to the leeward side of the atolls from the prevailing monsoons. And each year, the time of this shift changes slightly and as part of our monitoring efforts over the last decade MWSRP records these movements. If 2019 is an ‘early shift’ year, then there may be some pioneers making the first moves by the time of our trip. If not, then we expect the eastern sites to still be frequented. Guests are encouraged to capture images of all marine megafauna during the trip for individual identification purposes and you will be taught how to input these sightings onto national scale databases. Where available, profiles and life histories of those individuals will be returned so you can immediately and directly see the results of your efforts on species assessment work on mantas, turtles and other megafauna in the Maldives. Part of MWSRP’s 2019 research schedule includes looking at microplastic abundance. The focus is on ingestion of microplastics by whale sharks but we are also looking at pathways. So sampling for microplastics in the water column, in plankton and – if we’re very ‘lucky’- direct from whale shark faecal samples will be taking place over the course of the trip. Well, the only pre-requisites for applicants are passion for marine life and a diving licence, preferably equivalent to PADI Advanced Open Water. Given this is an expedition we will need people who are happy to roll with whatever the day offers and be willing to learn on the job, chip in and work hard where needed. We are looking to assemble a team of people with a shared spirit of adventure and an active desire to contribute to marine megafauna research. MV Eco Blue offers a very comfortable platform from which to go about doing some exploring! A focused dive outfit, she also offers plenty of space for outside relaxation and inside presentations. Comfortable standard cabins and beautiful deluxe cabins will ensure you are recharged and ready each day, while thoughtfully there is also a specially designed area for intense scientific discussion they have named ‘the onboard bar’ 🙂 . The Captain and crew are of course vastly experienced but it is the efforts EcoPro Divers make to mitigate impacts which go beyond the norm. Details such as the provision of non-toxic shower gel and shampoo in the cabins, minimising single use plastics where they can and actually offering reusable water bottles and reducing bottle waste by offering draft beer supplement the key focus of minimising direct environmental impacts by ensuring everyone is well briefed and adheres to good dive practices. Aside from the MV Eco Blue team, you will also be working alongside some of the MWSRP’s most experienced field team-members! You can see more details on the ship and its dedicated dive dhoni here at https://www.ecoprodivers.com/mvecoblue. There will of course be lots of diving to fill the days! 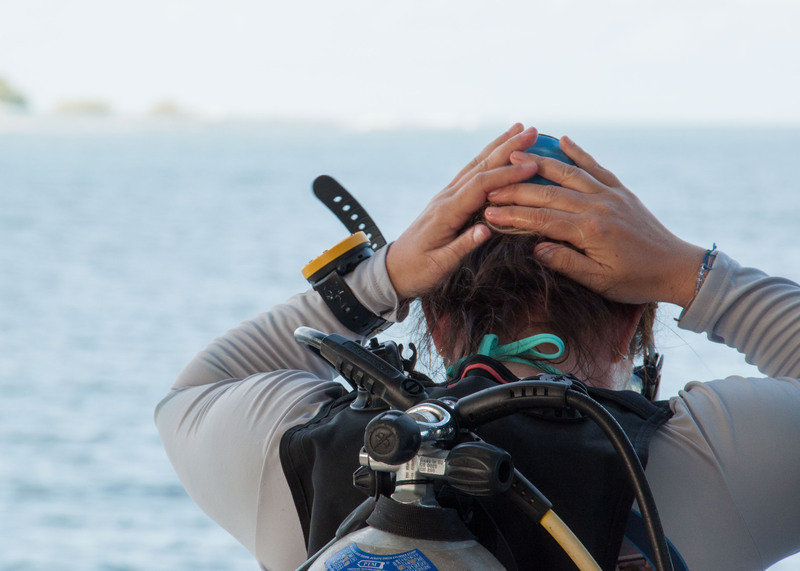 Two to three dives a day can be expected as this allows us be more flexible in our plans than trying to force three or four dives a day! We’ll be doing some focused dives but there will also be a good amount of recreational diving at world class sites. It’s the Maldives, diving is what you do here! Evening lectures will be conducted to share the latest outputs and understanding of marine life and other relevant work in the country. We will also aim to visit local and uninhabited islands where possible. Our route will take us from Malè to where we hope and expect to see incredible megafauna, and back to Malè. That’s about all we know at this juncture! Rates for this incredible journey are from $3059US* per person based on twin sharing in a standard cabin. Single occupant rates available on enquiry and subject to availability. *Please see terms and conditions for specific details not mentioned here. 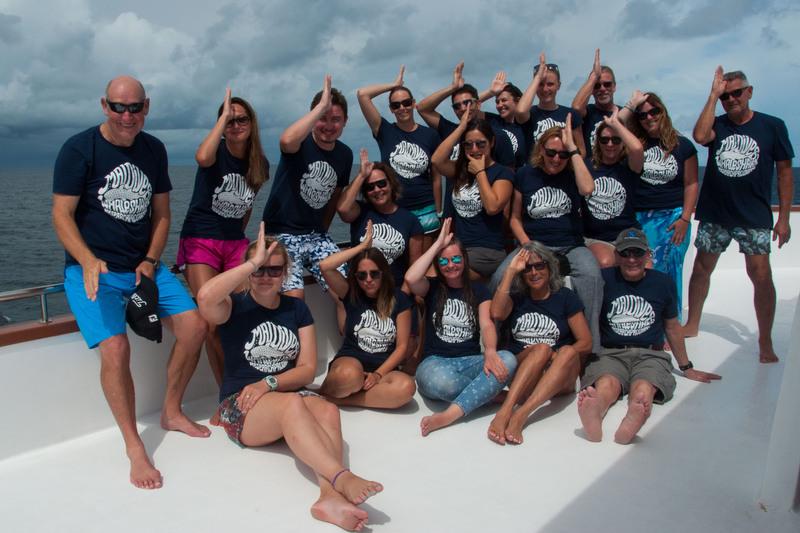 It’s important to note that all proceeds over and above running costs will go directly to the charities whale shark research and conservation goals. Please read the Terms & Conditions ( EcoPro-Divers-Maldives-Terms-Conditions.pdf	(68 downloads) ) and FAQ’s / Additional Information ( MV-Eco-Blue_FAQ-Terms.pdf	(64 downloads) )in these two documents carefully. 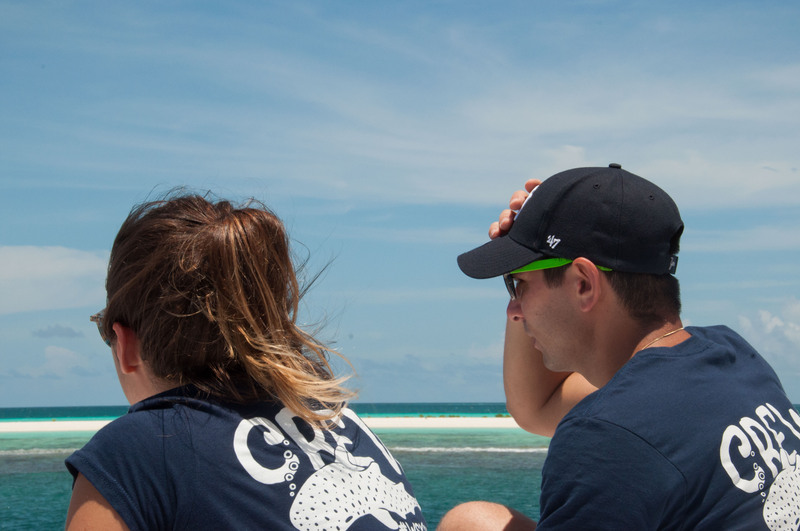 To request an application form for a position aboard Whale Shark Expedition 2019 or to ask further questions, please contact us here. For ‘nature of enquiry’ please select ‘WSX2019’.